I assume that since you’re reading this article, you’ve watched ’13 Reasons Why’. If not, I suggest you not to read further, as I’d like to keep it as a discussion among people who’ve watched it. And there might be spoilers of course. So now, it’s apparent that ’13 Reasons Why’ divides the audience at the two basic levels. Firstly, there’s the side that doesn’t like it, and the ones who do. Secondly, there’s the side that believes that the show is, and should be about Hannah Baker, and hence, it should’ve ended with her. Then there are the ones who believe that the show stands for something more. Let me tell you now itself that I belong the to latter section. It starts with raising the suicide and bullying issues. The further we get into the show, we keep coming across several other issues. The first season deals with the judgemental atmosphere, lifestyle of high school students, peer-pressure, the volatile psychology of high school students among other things. The second season brings more depth to characters and narrates them along with a strong argument on sensitive issues such as the high school management, substance abuse, physical abuse and even the Law. So, when I talk about shows similar to ’13 Reasons Why’, I give you shows that might be similar to it in terms of the atmosphere, or/and plot, or/and issues raised by them. Here is the list of TV series similar to ’13 Reasons Why’ that are our recommendations. You can watch several of these shows like ’13 Reasons Why’ on Netflix, Hulu or Amazon Prime. This one’s similar to the ’13 Reasons Why’ that deals with the sports group of the school. Hence, it’s not similar in terms of other major issues raised in ’13 Reasons Why’ and the plot is not very similar. The actors put in good performances, the storylines were believable and interesting, and most of all it provides a fascinating look into the high school football culture in small-town Texas. ‘The O.C’ has a group of high school students, who struggle with substance abuse and psychological issues, hence, resembling ’13 Reasons Why’. Again, this show certainly has its fair share of pretty people, but the problems are things that could actually happen and probably are happening as you read this. Plus, there is an adult side to the drama, another similarity to ’13 Reasons Why’, and the parents aren’t perfect. You get a feeling that ‘Dawson’s Creek’ is like the characters of ’13 Reasons Why’ are set in the 90’s. For instance, the titular character Dawson Leery is a parallel of Clay Jenson. This show will get you hooked and you can’t stop watching it. And, if you want to see ‘Dawson’s Creek’, prepare yourself for an unexpected ending that will leave you with a bitter taste. I have a gut feeling that ’13 Reasons Why’ is heading towards something similar. I relate ’13 Reasons Why’ to ‘Gossip Girl’ on the basis of Hannah’s character and the teen setup. ‘Gossip Girl’ is a thorough mixture of extreme pros and unbearable cons. Although the ending of the series is actually surprising but unbelievable at the same time, some episodes are really exciting and others dragged on so much and are so pointless and depressing it is almost sad to watch them. So watch it at your own risk. ‘The End of the F***ing World’ and ’13 Reasons Why’ are both in their initial stages and, drawing quick conclusions is not necessary. But the basic tone and the teen psychology aspects are similar. It’s a brilliantly crude show that takes chances and they pay off. It’s far from the most original thing ever written but most shows aren’t at this point. The show is addictive and the reason why is mainly the characters. 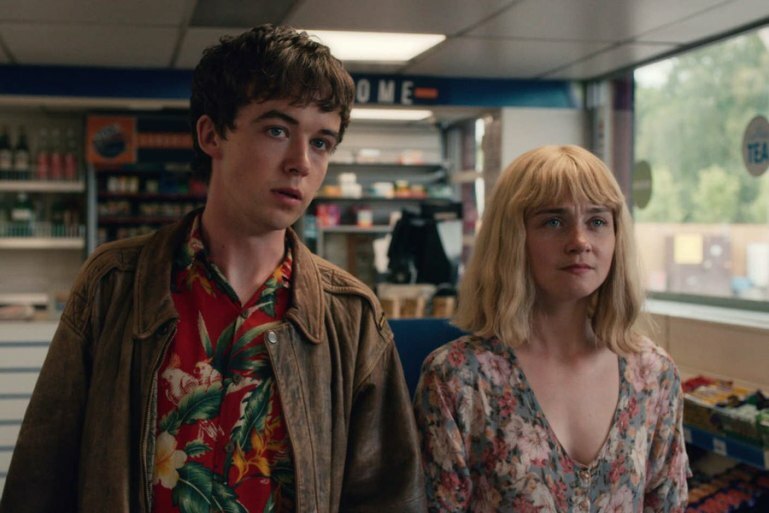 Since it is set in England, the atmosphere and setting of ‘Skins’ are different from ’13 Reasons Why’, but the teen drama and the school theme are similar. The show starts well, it presents the characters, their initial state, the whole somewhat balanced situation of their lives. The actors act very well for their age. If you are looking for the darkness you’ll find in ’13 Reasons Why’, you’ll be disappointed. If not, give it a shot. Kristen Bell plays a teen detective and does her role well. Together with a good plot on how the investigation goes, nail-biting occasions on who might have done the crime, occasionally unpredictable scenes and yet touching emotions make the series binge-worthy. The drama and mystery themes of ’13 Reasons Why’ are visible in ‘Veronica Mars’. Also, the character of Veronica Mars has shades of Clay Jenson. The complicated relation stuff, the teen drama among other stuff are similarities between ’13 Reasons Why’ and ‘One Tree Hill’. The characters are lovable and all so different. There are lots of twists and drama, The usual relationships and partying but even has a murder, which is unlike ’13 Reasons Why’. But most importantly it’s pretty realistic. The show is one of those “I can’t wait until next episode” shows. Pretty Little Liars is a very interesting show that focuses on a group of friends and their ringleaders’ sudden disappearance. Through the seasons the liars are tricked, attacked and even accused of many different crimes. The show has many twists and turns. Of course, this series is targeted at a teen fan base, just like ’13 Reasons Why’, so this show too tends to receive mixed feedbacks. ‘My So-Called Life’ is a great TV series that aired on MTV. It depicts the daily issues that teens go through, in a melodramatic glow, just like ’13 Reasons Why’. Jared Leto and Clair Danes do a wonderful job acting. Most of the cast of the TV series are now well-known movie stars and are on TV all the time. Many believe that the show is ahead of its time, and the fact that ’13 Reasons Why’, which is based on similar themes, is doing well, reinforces that belief. The ‘Degrassi’ shows (Kids Of Degrassi Street, Junior High, High, and The Next Generation) are very realistic – none of that “happily ever after” stereotype. That is one aspect it shares with ’13 Reasons Why’. The other is the teen drama factor and finally, the teens face trials. It deals with situations teenagers face in realistic ways. There are not very many television shows for teenagers I can actually say that about, barring our subject of course. I’ve written an article on similar shows to ‘Riverdale’ and ranked ’13 Reasons Why’ on top. So this one’s a no-brainer for me. It should be a no-brainer for you too. 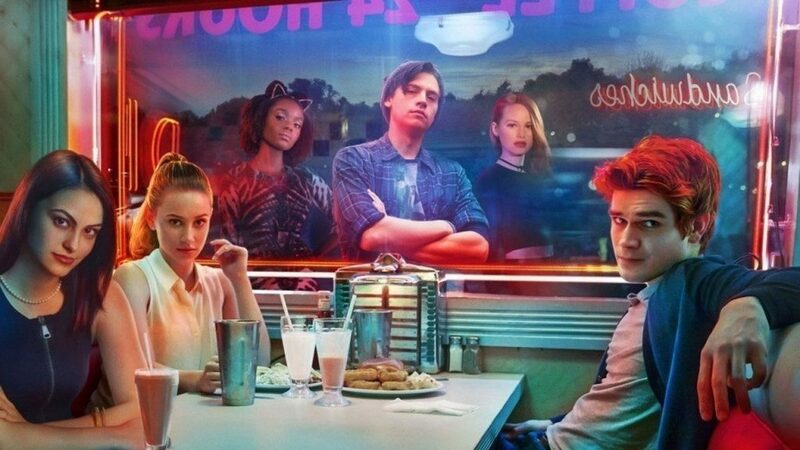 ‘Riverdale’ is like a combination of ‘Stranger Things’ and ’13 Reasons Why’. The fantasy element of ‘Riverdale’ is missing in ’13 Reasons Why’. The teen drama, relationship stuff, mystery element are few among the many similarities between the two. Dawson's Creek Degrassi High Friday Night Lights Gossip Girl My So-Called Life One Tree Hill Pretty Little Liars Riverdale Skins The O. C.